It takes time to look this good. In fact, it was a succession of ice ages over many millennia that shaped Norway’s fjords into the spectacular landscape you see today. Clear, blue waters sparkle surrounded by towering cliffs, while small villages and working farms cling to the mountainsides. Awe-inspiring national parks abound with tumbling waterfalls, crystal-clear rivers and breathtaking viewing points across myriad mountain, fjord and glacier landscapes. 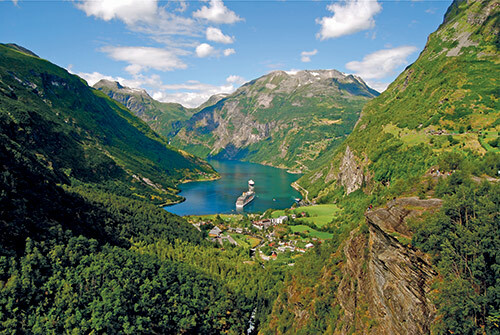 The Norwegian fjords are truly like nowhere else on earth. But while the region’s beauty is no doubt a top draw, there’s much more to the fjords than just a pretty face. Culture, history and adrenaline-pumping activities abound for intrepid travellers of all types, from glacier hikes and kayaking to Viking history and unique foodie experiences. The past, present and future often go hand in hand in the charming towns and cities, all of which boast a long seafaring, fishing and trading history. The region is also famed for its great hospitality – you’ll be warmly welcomed by proud and friendly locals who are keen to share what their country has to offer. Each port Iona visits offers a different experience, and each brings you closer to the charms of this unforgettable region. So relax, breathe in the fresh air and prepare to discover the beauty of the fjords, one destination at a time. 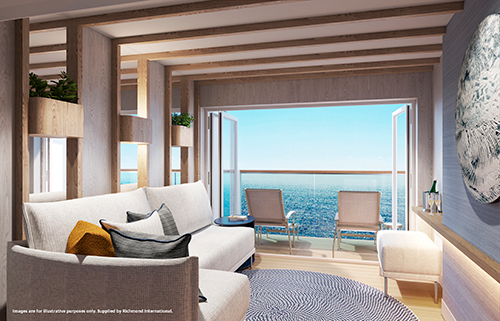 With Iona, guests have been put at the heart of the new cabin designs. Working with hotel and hospitality design experts Richmond International, P&O Cruises are delighted to bring guests even greater levels of comfort and style, and are offering even more choice and flexibility with the introduction of a brand-new style of accommodation, the Conservatory Mini-suite cabin. Following in-depth research into the future of design for hotel, yacht and airline cabin accommodation, the interior spaces of Iona’s seven cabin types have been carefully configured to create a calm and sophisticated haven. The overarching design aesthetic takes its cues from seaside holidays, the sea and natural materials; a core colour palette of sands, light oak, beiges and whites is complemented by nautical navy blues and golds. These accent colours are used in stylish designs for carpets, textiles and soft furnishings while features such as porthole mirrors on light-blue walls add character and light to the interior spaces. Iona will offer guests unprecedented levels of quality and flexibility when it comes to food and drink. The exciting array of options combines brand-new dining and drinking concepts with much-loved signature venues to give new meaning to the word ‘choice’. With 29 different venues to choose from, there’s something for everyone, whatever your mood, at any time of day and night. 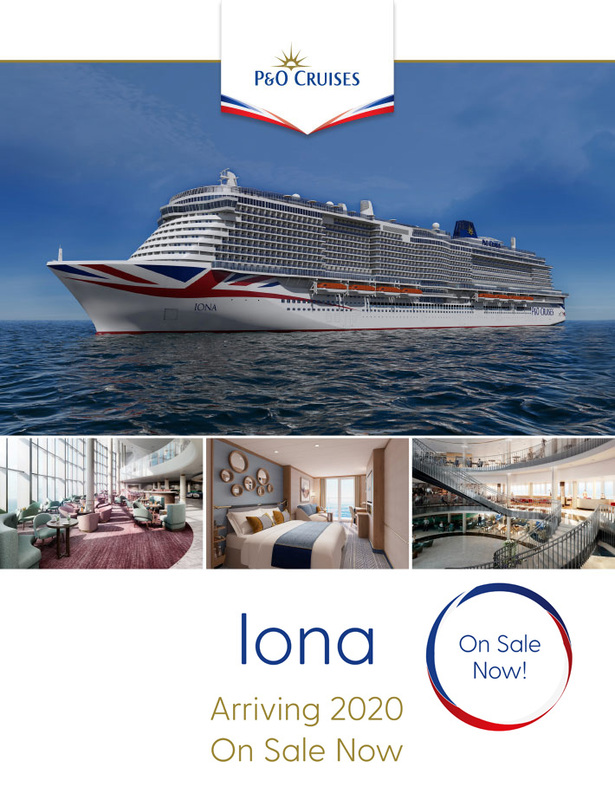 A P&O Cruises First, Iona will exclusively offer Freedom Dining in the main restaurants. This puts you in the driving seat, giving you the flexibility to dine with friends and family any time from 6–9pm. At peak times, a pager will alert you when your table is ready so there’s time to relax with an aperitif. 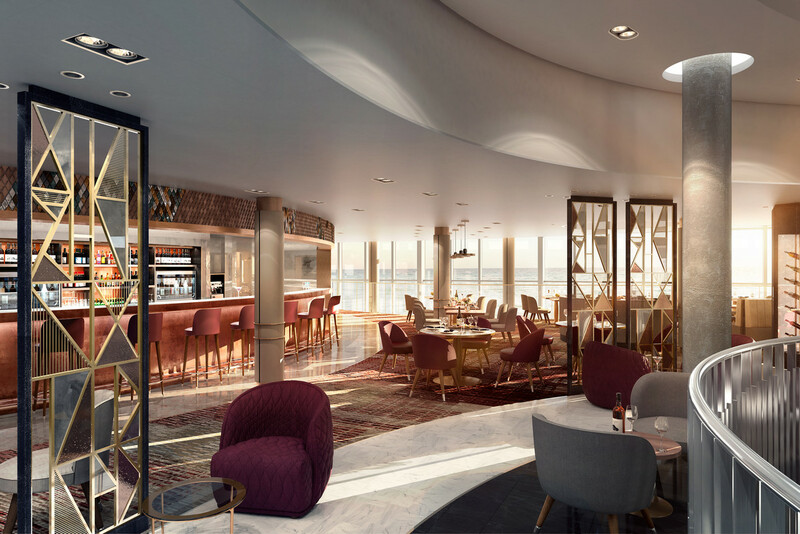 Other P&O Cruises Firsts include two brand-new dining concepts and a new live music venue. Day to night, there’s never a dull moment on Iona. From film to full-scale production shows, live music to impromptu aerial acrobatics, Iona offers entertainment to suit any and every mood.